Get the Full-Color, Magic of pH PREMIUM EDITION Paperback and download the e-book FREE! Upgrade NOW to The Magic of pH Master Class! 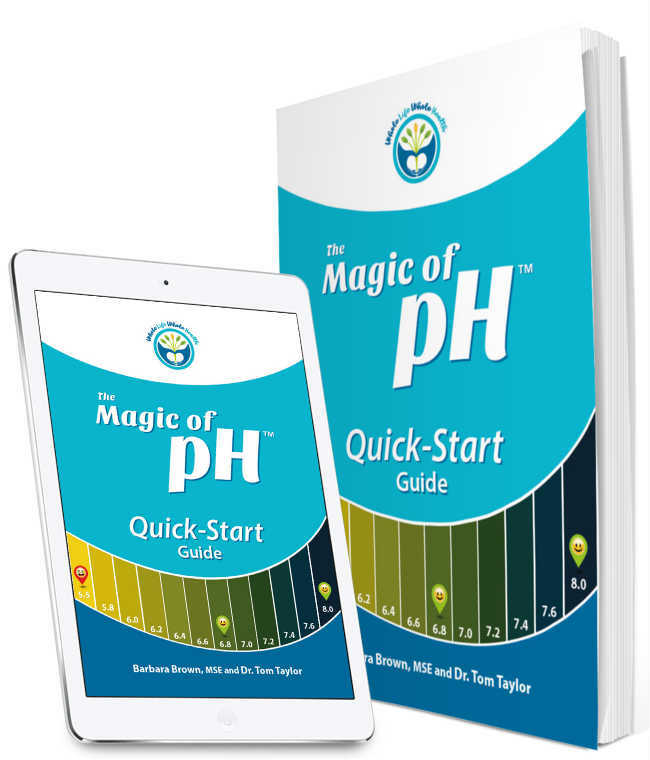 Your Magic of pH Master Class includes the full-color Premium Edition of The Magic of pH paperback and e-book, plus the Quick-Start Guide in e-book format! 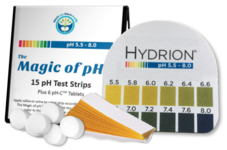 Get started testing your pH right away with a starter pack of 15 pH test strips and pH-C tablets! 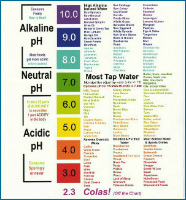 Watch special videos that show you exactly how to test your pH and interpret your results for maximum benefit! Take expanded audio recordings of the book in bite-size sections with you wherever you go! 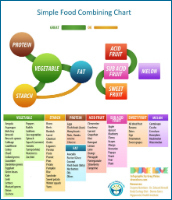 Track your daily diet with the unique Alkaline Tracker™! Enjoy exclusive access to group coaching and community discussions through The Magic of pH Master Class Facebook group! We'll ship your Magic of pH Premium Edition FREE! 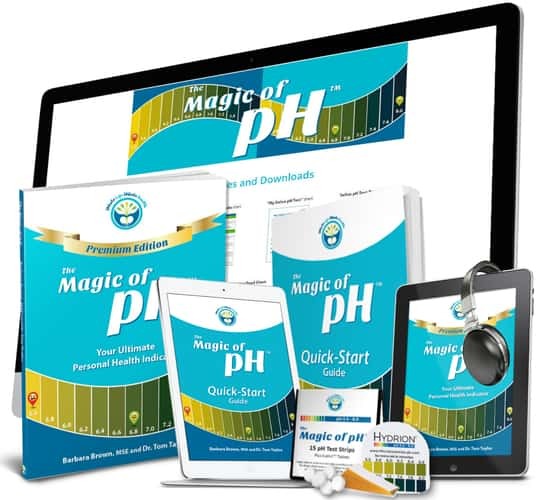 Save $7.97 (the cost of your e-book) when you upgrade now to the The Magic of pH Master Class through the special link here! CAUTION: The Magic of pH Master Class is NOT for everyone! AFTER we deliver the member’s only portal! 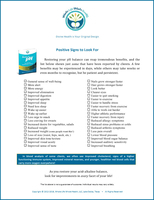 You’ll have more than enough time and resources to prove the value to yourself! 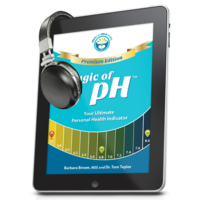 Then, If you don’t agree that The Magic of pH Master Class is a real game-changer when it comes to empowering you to take charge of your health at a whole new level, send us an email and we’ll refund your purchase price, less the cost of the regular edition of the paperback book ($19.97). 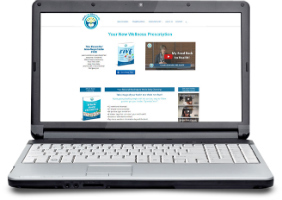 You keep the Premium Edition paperback, the Quick-Start Guide, and all the resources you downloaded, including the full-color e-book! 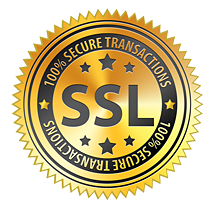 $ 10.00 per month group coaching and community – yours for as long as we're alive! 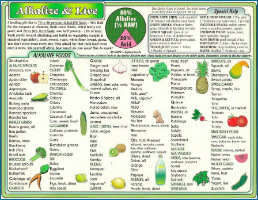 is intended for educational purposes, and is not intended to diagnose, treat, or cure any disease.